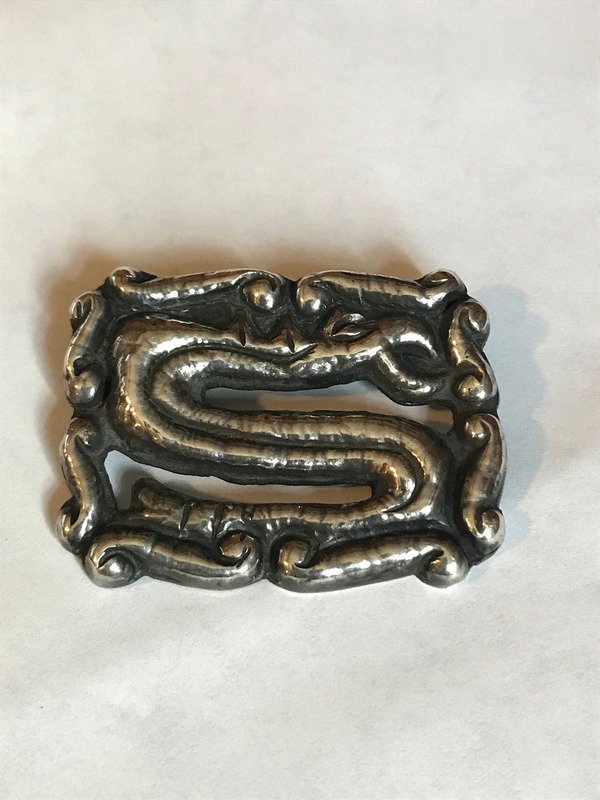 An elegant early sterling silver hand made brooch depicting a stylized glyph type serpent by an unknown silversmith of Taxco in fine sterling silver dated to about 1920 or earlier (clasp type dates 1890-1920). 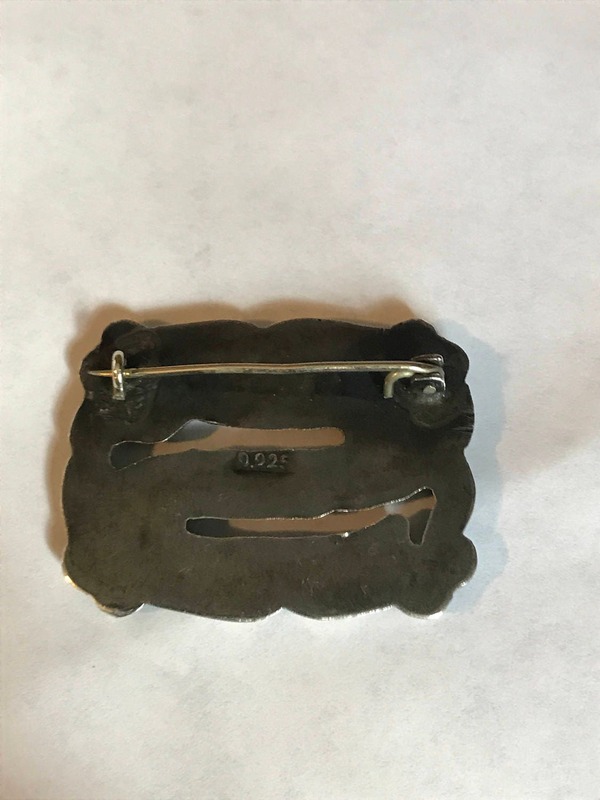 The dimensions of this brooch are 1.2" x 1.6" (32mm x 42mm) . 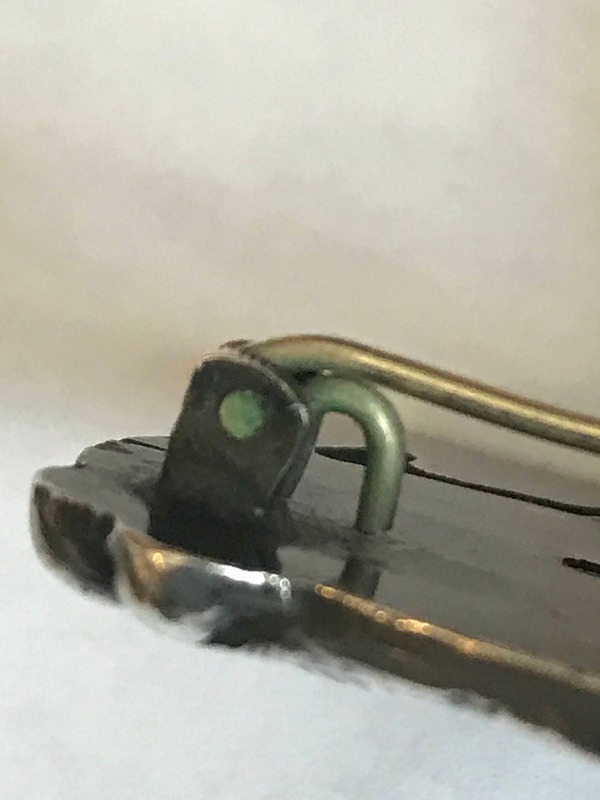 Brooch closes securely with a hook type fastener. 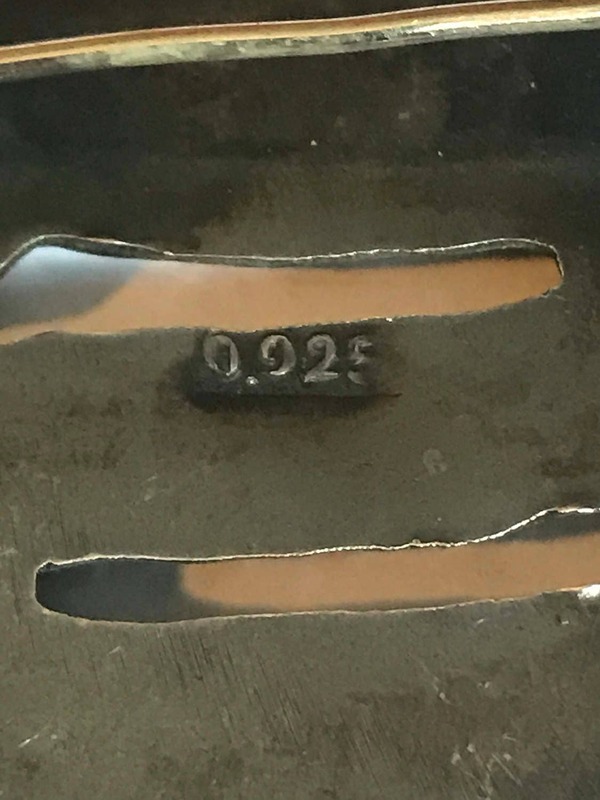 Hallmark reads 0.925. 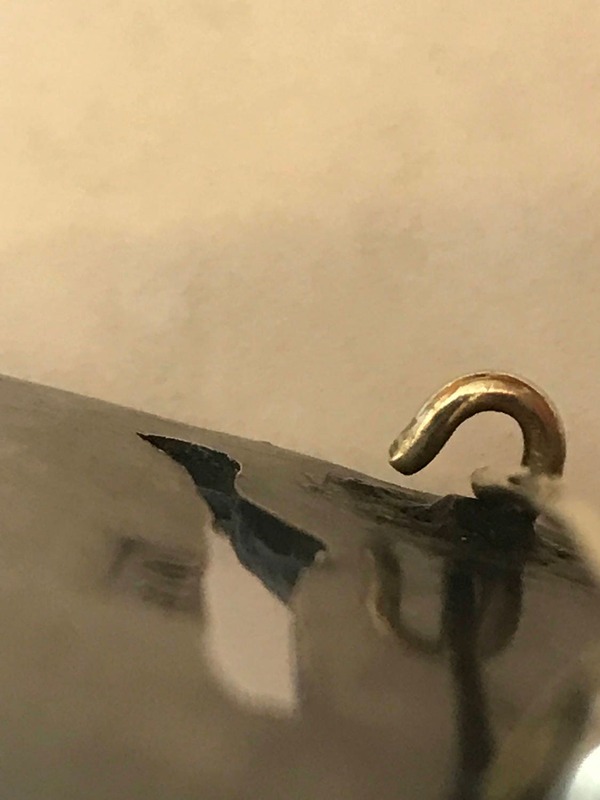 Condition is commensurate with age and use and no major issues have been noted. Rare. Weight is about 12.6 grams.